Goldacres offers a comprehensive range of standard model sprayers. All their spraying equipment is Australian made. The Special Evolution – There are 3000, 4000 and 5000 litre models available. These models offer a range of options to suit many spraying applications. Prairie Evolution - 4000, 5000, 6500, 7500 and 8500 litre tank sizes are available. 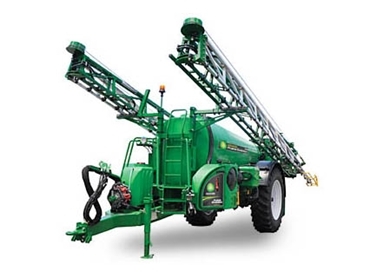 These sprayers can be built with a great full range of options, including high tech features such as UltraGlide (boom height control), RapidFire (nozzle shutoff), Smartsteer, Direct Chemical Injection, and Boom recirculation. In addition, Goldacres offers a range of smaller trailing ‘compact’ sprayers. These offer tank sizes from 800l - 2500l. They are ideal for smaller farm operators and vegetable and pasture farmers. Goldacres has established alliances with many international specialist spraying component manufacturers which assists in the production of world class equipment.